RIO DE JANEIRO, Jan. 25 (Xinhua) -- At least seven people were killed, nine injured and at least 150 others went missing after a tailings dam owned by mining giant Vale collapsed Friday afternoon in Brazil's southeastern state of Minas Gerais, the state government said Friday evening. The identities of the victims were not disclosed. Some 100 people who were isolated were also rescued, local authorities said. According to Vale, out of its 427 workers at the site, about 150 workers are still uncounted for. However, the total number of the missing could be higher, as local residents might be affected by the incident. 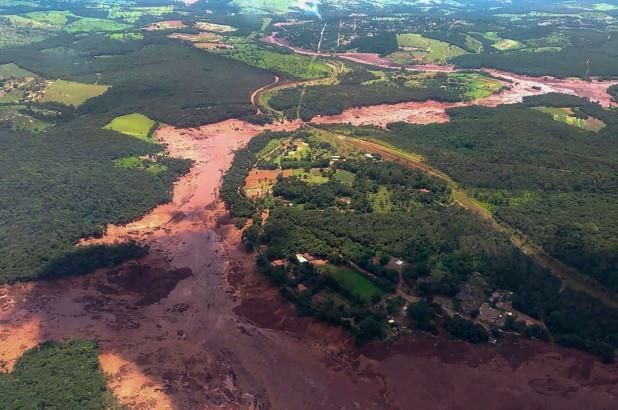 The dam collapsed Friday afternoon in Brumadinho Municipality and caused a mudslide, which destroyed Vale's offices and a residential area.